Why do people buy books and products on the Law of attraction? Well the most common reasons are to attract more wealth into their life and to attract love. 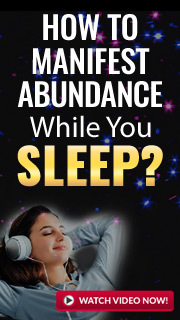 You’d think that with all the guides and products out there, everyone would be rich and living an abundant life. Yet, most people are still struggling to attract wealth. When I came across Manifestation Magic I thought, great just what the world needs another Law of Attraction product, but I love the Law of Attraction and wanted to find out more to see if I could tweak my own practice. I bought it and downloaded everything and wanted to give you an honest review of it. There will be much less external and internal interference. It’s a brilliant concept and one that I have used successfully in the past, so nothing really new there. There’s a hell of a lot to this system and I was surprised to get so much content, but it’s not overwhelming either. 1. Actions that matter: : The biggest problem I had with books like The Secret was that all you had to do was think positively to see results. This Pollyanna approach to manifesting wealth sounds good, but rarely works. Manifestation magic requires you to listen to the audios. This is work. It’s not hard work – but it’s necessary work and something a lot of people will skip. 2. Builds a strong foundation:: The reason why Manifestation Magic works and has positive testimonials is because of the science behind it. You’re gently taken from a place of lack to a place of abundance. This is crucial. I’ve said it a thousand times it’s your beliefs that will help you manifest wealth into your life, and if you can change your beliefs you will change your actions and that’s the REAL SECRET. It’s very difficult to do this solely with books, because we are creatures of habit. So, by listening to the audios, we can dive deeper into the mind and fix the inconsistencies that are sabotaging our efforts. Manifestation Magic does this better with the power of audios. 3. Consistency:By asking you to listen to the tracks daily, Manifestation Magic builds wealth habits and thinking in you subconsciously. This is not a haphazard approach to generating wealth like positive thinking that you do anytime you feel like. Consistency leads to results. 5. All-Encompassing System: On the surface, Manifestation magic looked like just another run-of-the-mill self-help product. NLP refers to neurolinguistic programming and it was invented by Richard Bandler and John Grinder. NLP is used to change your behavioural patterns by altering your neurological processes. It’s akin to creating new outcomes by changing your habits. There are a few downsides. No product is perfect… and thankfully, the only 2 cons I could fine were just minor issues. It bridges the gap between visualisation and results. The audios will accelerate your results if you’re already practicing daily visualisation. It’s the missing piece of the puzzle. The house of your dreams, the fast car your heart desires, the extra money in your bank and the financial freedom you want is within reach. It may seem like hype, and I am always skeptical about these things … but Manifestation Magic does give you the edge and will help to change your mindset, beliefs, thoughts and actions.